Sumner, Mississippi, was the home of one of the most pivotal cases of the Civil Rights Movement – the Emmett Till murder trial. Sumner and the town of Money, about 30 miles south, became national focal points after Roy Bryant and J.W. Milam brutally murdered 14-year-old Till and were later acquitted of any charges at their trial at the Sumner courthouse. Till became an emblem of the Civil Rights Movement because his story shed light on the horrific treatment of African-Americans in Mississippi and the South. Today, his memory is preserved in these cities through historical markers, an interpretive center and various initiatives in his honor. 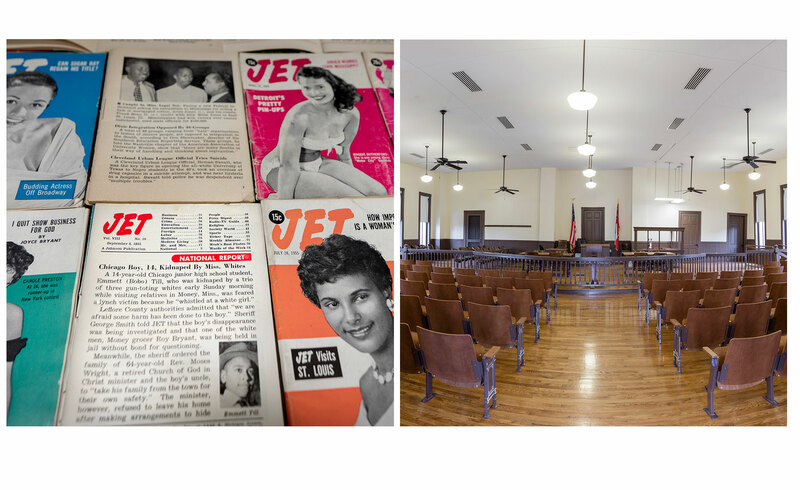 On left-Jet Magazines coverage of the trial. On right is the Tallahatchie County Courthouse where the murderers were tried.